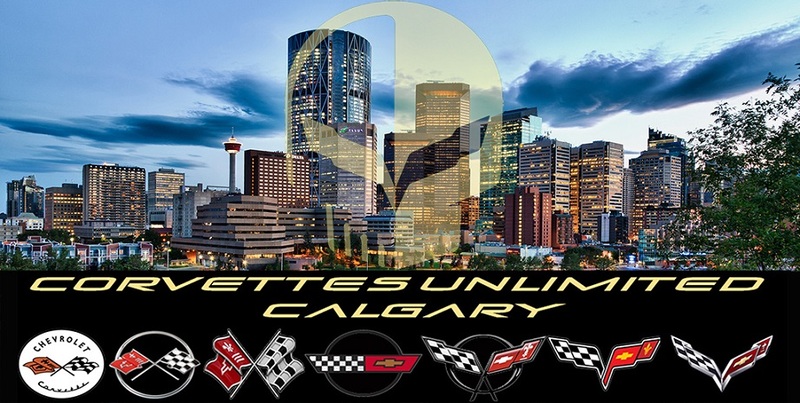 Corvettes Unlimited Car Club was formed in 1972 by a group of Calgary automotive enthusiasts with one common interest, the Chevrolet Corvette. Since that time C.U. has grown into an extremely diverse and active organization with many social, competitive and family functions for its members. The club is a non-profit organization and supports various charities throughout the years by raising funds through club events. Corvettes Unlimited is a member of the Canadian Council of Corvette Clubs (CCCC) which is a Canada wide governing body for Corvette Clubs. Our club hosts and participates in a variety of events including slaloms, concours, show & shines, and rallies. Our travels take us across Canada and the United States. Our social activities include day cruises, get-away weekends, dart matches, barbecues, film nights, golf outings, bowling nights, skating parties, weekly breakfast meetings and the year end banquet. Club Members receive special discounts on parts, service, and vehicles at Capital Chevrolet. During the non-Corvetting season, monthly club meetings are usually held on the third Thursday of each month in the 2nd floor boardroom at Capital Chevrolet at 7:00 PM. In the summer, day cruises/poker runs, fun slaloms are held on weekends, dinner cruises are held on the third Friday of each month. Members get together to cruise to nearby towns and sample the local fare. Check the Events Page for a scheduled lists of activities. CU Calgary is pleased to be hosting the Canadian Council of Corvettes Clubs annual convention. Hope you can come out to participate or come out to cheer on the drivers. CU Friday Breakfast This is a casual breakfast meeting every Friday morning at 9:25 AM at Grey Eagle Casino. Just show up and join fellow CU Members for a cup of coffee and some good company. New picture gallery added to showcase events for 2019. Last updated on January 19, 2019.